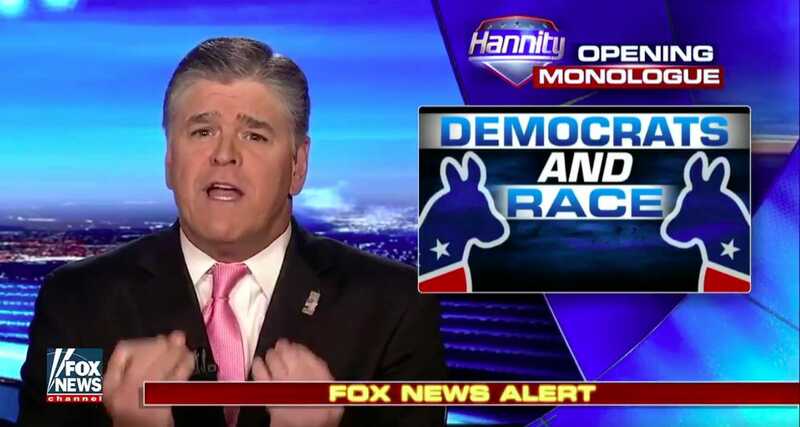 On Wednesday evening, FOX News’ Sean Hannity blasted the Democrat Party for its history of racism. In what was the hardest hitting part of the segment, the pro-Trump host highlighted Hillary Clinton’s past glowing statements about former KKK member Senator Robert Byrd. Clinton once delivered a “heartfelt remembrance” after Byrd’s death, calling him her mentor. Hannity recalled how several contemporary Democrats’ “mentors” were pro-segregationist or against the Civil Rights Act of 1964. He pointed out Bill Clinton’s mentor, Sen. J. William Fulbright (D-Ark.) and his vice president’s father, Sen. Al Gore Sr. (D-Tenn.) both found themselves on the wrong side of race issues. Gore Sr. voted against the Civil Rights Act. “That’s their history,” Hannity said. He also noted how Hillary Clinton gave a heartfelt remembrance of Sen. Robert Byrd (D-W.Va.), a former “exalted cyclops” in the Ku Klux Klan. He noted how Byrd – who later renounced the Klan – is memorialized in dozens of places, including with a statue in Charleston’s State House and throughout the Appalachian Highway System. Fellow FOX News host Tucker Carlson joined Hannity on Wednesday evening to highlight more specially how the Democrats are completely wrong on racism. Joey Gibson is leading a Patriot Prayer Rally this weekend in San Francisco. Patriot Prayer organizer Joey Gibson went on Tucker Carlson to discuss the rally and Pelosi’s lies. Pelosi wants to shut it down. Joey Gibson says all of the speakers for this weekend’s rally except are non-white except for one. Racists will not be allowed to participate. Joey spoke with Tucker Carlson tonight.